Sigrid L. Rupp Architectural Collection, Ms1997-006, Special Collections, Virginia Polytechnic Institute and State University, Blacksburg, Va. In an effort to foster a holistic approach to architecture and professional practice, Sigrid Lorenzen Rupp created the Berkeley-Rupp Architecture Professorship and Prize. The intent of the Berkeley-Rupp Prize is to give recipients the resources and time necessary for reflection, and to share their knowledge and passion with students of architecture. Ms. Rupp’s generous bequest to UC Berkeley makes possible the Berkeley-Rupp Prize at the College of Environmental Design on the University of California, Berkeley campus. Ms. Rupp believed that practitioners would benefit greatly from an opportunity to engage in creative and scholarly work away from traditional practice, research and/or teaching. 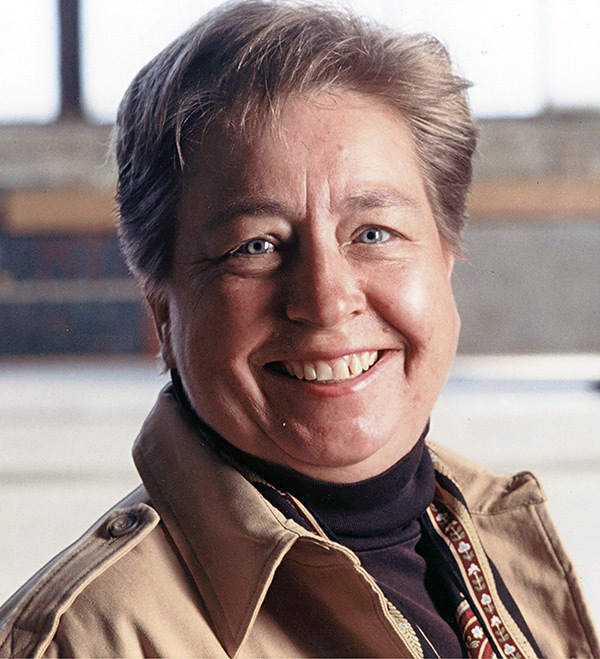 Ms. Rupp was a champion of women’s rights, especially in the profession of architecture, and was a mentor to many women and minorities wanting to succeed in the field. She believed that women bring special values to architecture that emphasize a “triple-bottom-line,” which includes economic, environmental, and social approaches to design and a commitment to sustainability and the community. Sigrid Rupp was a Palo Alto-based architect. Her fascination with architecture dated back to her childhood in postwar Germany where she witnessed an intensive building boom under way. She later studied architecture at the University of California, Berkeley, where she was mentored by Joseph Esherick, Harold Stump, and Donald Reay. After graduation, she went on to work for several Bay Area firms. In 1976, Ms. Rupp founded her own firm, SLR Architects, for which she served as president until her death. Some of her significant projects include the Press Building and Storey House at Stanford University; a testing facility for Apple Computer that won an American Institute of Architects (AIA) Honor award; and a factory retrofit and rehab for Raychem Corporation. Her work also included retail stores, offices, private residences, and remodels of older buildings. Ms. Rupp was a member of the Organization of Women Architects, the AIA, and the Union Internationale des Femmes Architectes. In 1998, the International Archive of Women in Architecture honored Ms. Rupp by including her body of professional work in their collection.